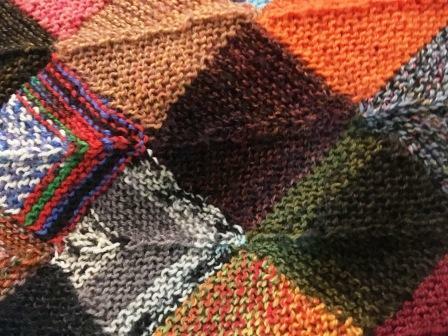 At our meeting on Monday, April 29, longtime Guild member Jan Clark will show us how to knit mitered squares. Please bring a small amount of yarn (scraps of leftover sock yarn are perfect), needles in a size appropriate for your yarn, and a safety-pin-type marker. We will be learning to pick up stitches and knit double decreases. Jan will have handouts available.